Hello, everybody. I am Sawada. I am part of the TEDxHimi staff. This time I will talk about key visuals, important elements for TEDxHimi. Last time, speaker Aran drew a camellia which was the representative flower of Himi. We commissioned an Inami wooden sculpture craftsperson. Inami wood sculpting is a traditional craft of Toyama prefecture with internationally famous techniques. It isn’t an exaggeration to say that this wonderful point comes from a sculpture sketch. Inami wooden sculptors can make a sculpture from this sketch. A sculpture sketch is a design drawing. Inami sculptors are in charge of all stages of development, from designs to productions. The carving is related to ‘Inner Space’ which is this time’s theme. We visited a craftsperson who has been working independently recently and we consulted her. A rough sketch arrived! 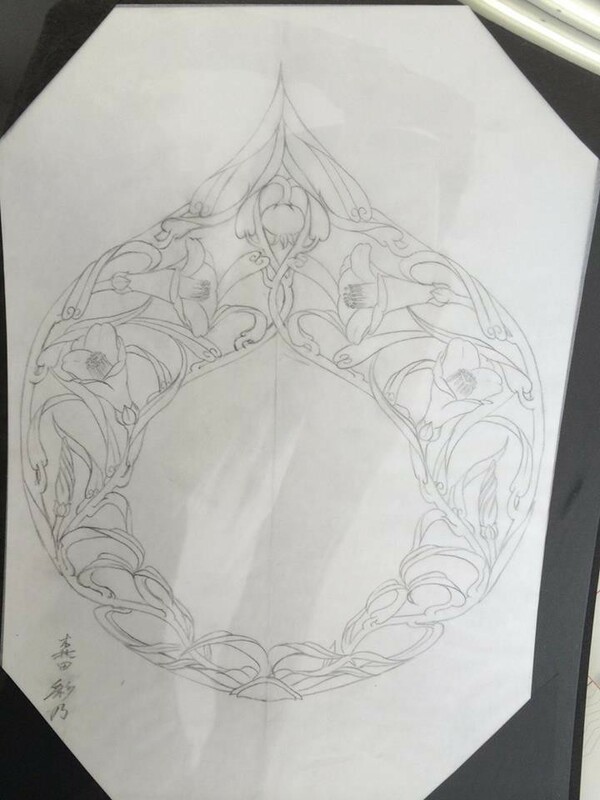 It was a sketch of the halo of a Buddhist statue, made of Himi flowers. The halo consisted of several scattered flowers related to Himi in addition to a camellia. That sketch expressed reincarnation and represented this time’s theme through her own interpretation. This key visual will be used at the venue, in pamphlets, etc. 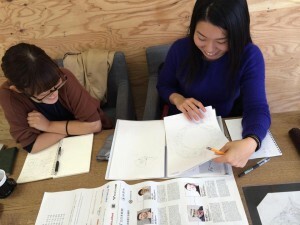 Designs for venue decorations in TEDxHimi are carefully made one by one with special meaning and feelings. This rough sketch may be somewhere in that venue on the event day. Please look forward to that!